Hotel "Lubava" is located on the outskirts of Kosiv in the village of Old Kosiv. 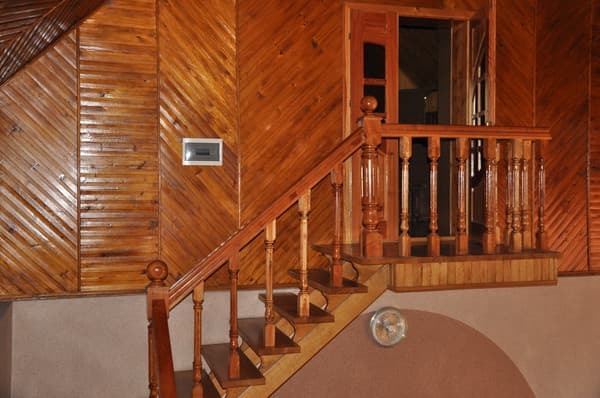 The hotel has 5 rooms equipped with comfortable furniture, satellite TV, Wi-Fi access. Cold and hot water is supplied around the clock. 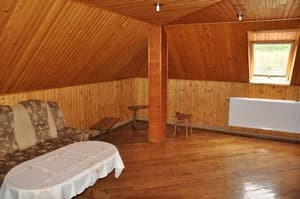 On the territory of the hotel "Lubava" guests can use a sauna with firewood with a contrasting barrel, a gazebo, a brazier and a swing. For an additional payment transport services are offered: a car or a minibus for 8 seats. The hotel has a restaurant and a banquet hall, as well as a cafe for 30 people. The distance to the center of Kosiv is 2 km, the nearest ski lift is 3 km. Description of the room: The room is for 2 adults. It is also possible to deliver a bed for 1 child up to 8 years. 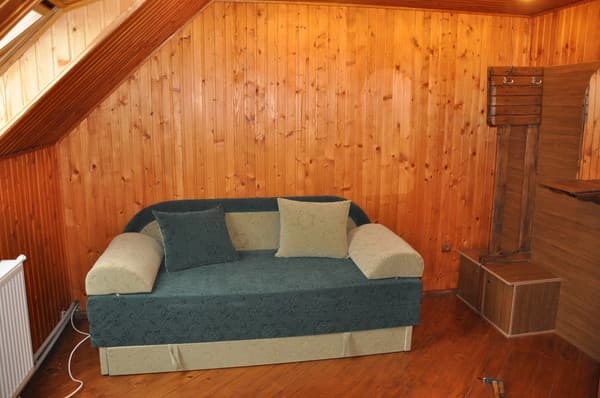 In the room: a folding sofa bed (2 bedrooms), a wardrobe, two armchairs, a mirror. Description of the room: The room is for 2 adults. It is also possible to deliver a bed for 1 child up to 8 years. 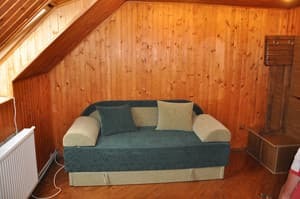 In the room: a folding sofa bed (2-bedroom), a wardrobe, a coffee table, 2 armchairs, a mirror. 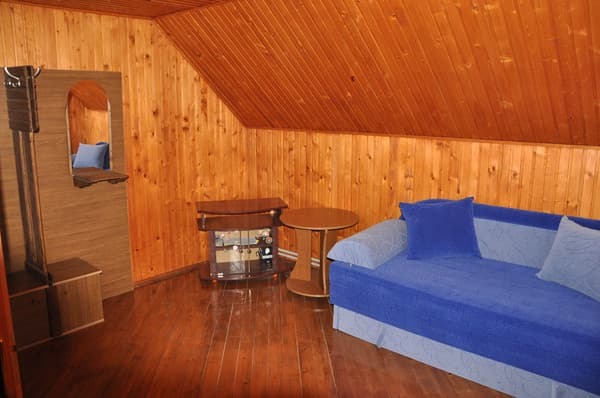 Description of the room: This room can accommodate 4 adults. It is also possible to deliver a bed for 2 children up to 8 years. 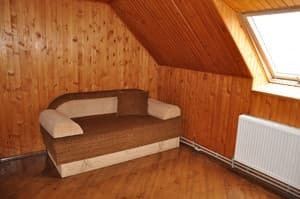 In the room: an entrance hall, a folding double sofa bed, a folding corner sofa (2 bedrooms), a wardrobe, a coffee table, 2 armchairs, a mirror, an iron. 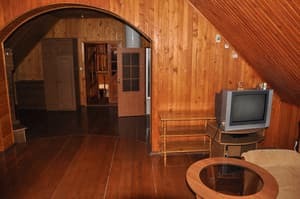 Description of the room: The room is for 2 adults. It is also possible to provide a bed for 1 child up to 8 years. 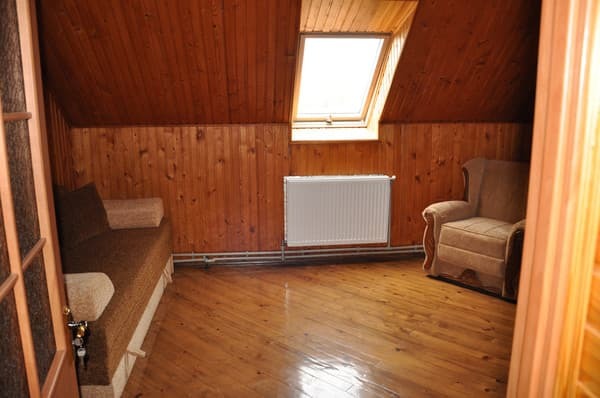 In the room: a folding sofa bed (2 bedrooms), a wardrobe, two armchairs, a mirror. An extra bed is available for children up to the age of 8. On the territory of the hotel there is a cafe for 30 persons (catering in a cafe - by agreement). There is also a restaurant and a banquet hall at the hotel. 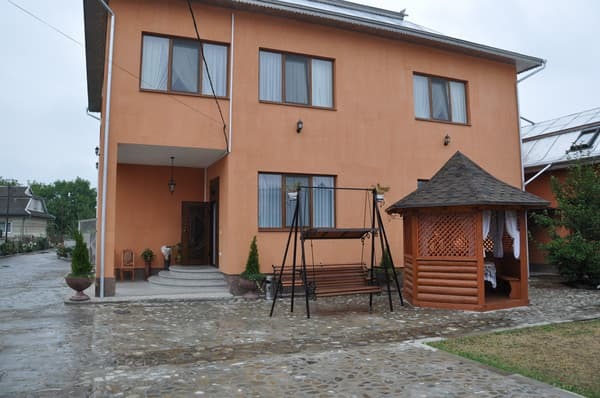 Hotel "Lubava" is located on the outskirts of Kosiv in the village of Old Kosiv. The distance to the center of Kosiv is 2 km, the nearest ski lift is 3 km. 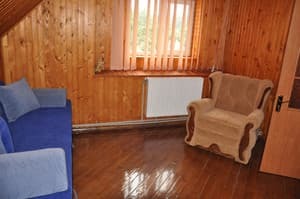 By public transport: by bus from the cities of Ivano-Frankivsk or Kolomyia to the city of Kosiv, at the bus station take a taxi or arrange a transfer to the hotel with the owners. By car: Kolomiya-Kosiv highway (P-24) to the city of Kosiv. You can agree on a meeting with the owners.